The Carabao de Colores 2018 is a new celebration presented by the municipality of Vallehermoso. In the previous years, Vallehermoso celebrates its fiesta celebration with the Kanglambat Festival. 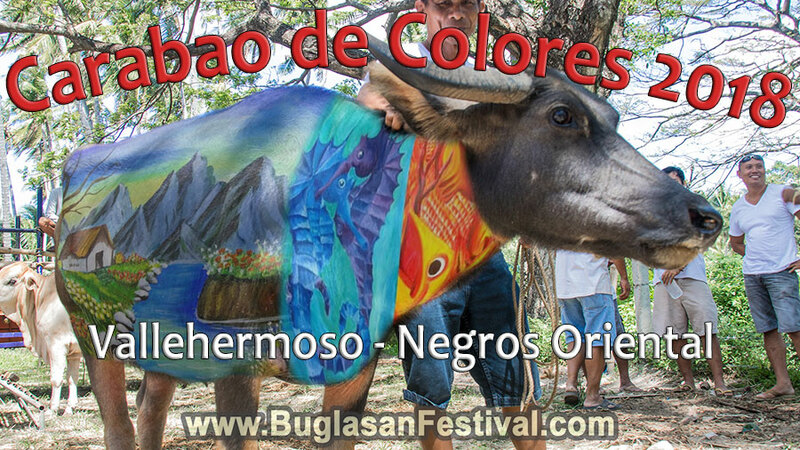 But for this year’s festivities, the town will be celebrating with the Carabao de Colores from May 15-20, 2018. Happy Fiesta Vallehermoso & Carabao de Colores 2018!!! Miss Basay 2019 was participated by ten lovely ladies representing their respective barangays. Read more, view gallery and watch video here! As part of their long-term culture of Bayawan City, the celebration of the Tawo Tawo Festival 2019 plays an important role. Read more & View Gallery here!